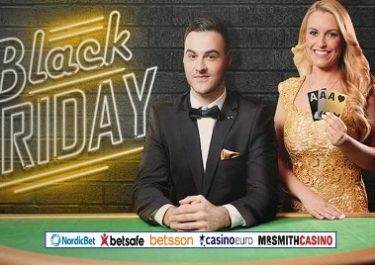 Betsson – Final Chapter: “A €500K Christmas Tale”! Happy New Year from Betsson with a guaranteed prize! Betsson named their 2016 festive calendar very fittingly “A €500,000 Christmas Tale” and what a story it has been. 35 chapters full of rewards, promotions and festive surprises. More than a dozen had guaranteed prizes or direct giveaways for everyone taking part, some had superb Deposit Bonuses or Free Spin offers while others had exciting competitions where only the top players would walk away with a reward but all of them had one common goal: “Give back to the loyal players and make sure those Christmas goodies are plenty”. Chapeau Betsson! As with all good things, they have to come to an end at some point. And today marks the final chapter of Betsson’s wonderful Christmas Tale. There is no better finish to a story than a “Happy End” and this means that today everyone will be a winner. Not to forget that today is the last day to collect points for the main leader board where the TOP100 will share a separate €50,000 prize pool. First, second and third prize are €15,000, €10,000 and €5,000 in cash, 4th place will take home an Apple gadget bundle complete with iPhone 7, iPad Mini 4 and Beats Solo 3 Wireless Headphones. Further runners-up prizes are Free Spins for one year going to 5th to 10th place, €100 bonus money up to 60th place and the reminder to 100th place can look forward to some precious Betsson branded merchandise like Bluetooth Headphones and Hoodies. The first 2017 players logging in today and clicking the “Start 2017” button on the chapter page will each get €5 in bonus money while all others will receive 5 Free Spins on the Spin and Win slot. All free spins and bonus money rewards will be credited tomorrow by 18:00 CET. The bonus money carries a 15x and Free Spin winnings a 10x wagering requirement. Players from Poland are excluded from this offer. Betsson bonus terms and conditions apply, read them carefully. Everyone taking part will earn 25 points for the main leader board.